So let’s discuss smart blinds. One of the latest smart devices which are trying to break out into the smart home market is smart blinds. There have been a few standalone attempts but we are now at the stage where they are beginning to integrate with other devices such as Alexa and Google Home. Two of the products which fall into this category are Soma and a current kickstarter Blind Engine. Why should I add smart blinds? Smart blinds are cool, period. When you watch films with celebs that stay in fancy hotels or houses you often see blinds opening and closing without any effort. This gives off a vision of our house effortlessly shutting down as soon as sun sets. Opening blinds takes up time, especially if you live in a big house and have many of them. Add to the laziness factor and get your house to work for you. You might be able to control lights when away from home, however blinds would help give that feel of living. You tend to notice when neighbours curtains don’t open and close and so would someone eyeing up your house. However if they are closed at night and open during the day the place would seem like it has activity. Why shouldn’t I add blinds? I’ve tracked two companies which I believe can convert my blinds into smart blinds. The first being Soma Smart Home which would cost £444.00 for the kit, then adding another £99.00 to connect it to Amazon Echo. The second on Kickstarter (Blind Engine) costs £394.37. This is if you’re willing to take a risk on a product which has not yet proven itself in the market place. Let’s look at some maths for value for money. 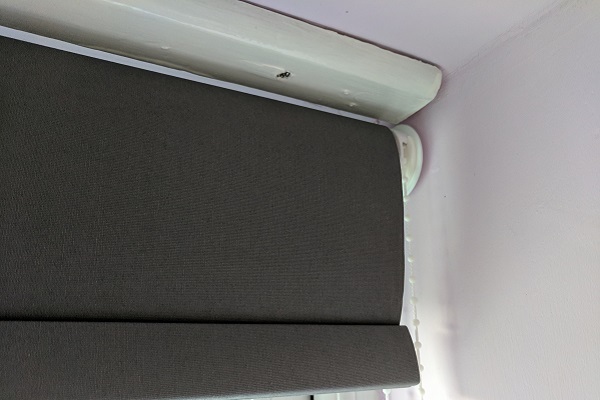 Most blinds I open on route when going round the house. Therefore the time it takes to open them is very little. Say 10 seconds. I have 6 blinds in my house so collectively and for the ones a little out the way possibly 60 seconds plus 30 seconds it might take to travel out my way. Let’s round up to be safe. 2 mins in total to open blinds and 2 mins total to close blinds at night. This gives us 4 mins a day. 4mins x 365 = 1460 mins, which equals 24.3 hours. If you earned £10 an hour and did 8 hours a day 5 days a week, you would earn £400 a week. As you need to sleep/eat and rest to work we include this in the day. So there is 24 x 7 hours in a week which equals 168 hours. £400 / 168 = £2.38 per hour. 2.38/60 = 0.039 so we earn £0.039 per minute. 1460 (minutes spent altering blinds a year) x £0.039 = £57.94. Therefore to save the time and have the value for money it would take nearly 6.8 years to receive the value back from them. In this time they would probably face connectivity issues, battery/electrical issues and possible needs to replace them. Owning manual blinds you know that when they are down, there is little chance of them opening unless someone physically does it. Smart blinds on timers don’t care if you’ve just had a shower or not, if they’re set to open then bam! A nice view for the neighbours. Previously I’ve not analysed other smart home products in as much depth on the cost side of things. However they have shown drive benefits greater than costs or indeed help save money in the long run. I just felt in this particular blog that the cost seemed greater than the need. Overtime when they per-fect the products and spread the cost of manufacturing, hopefully we’ll see the price begin to fall.